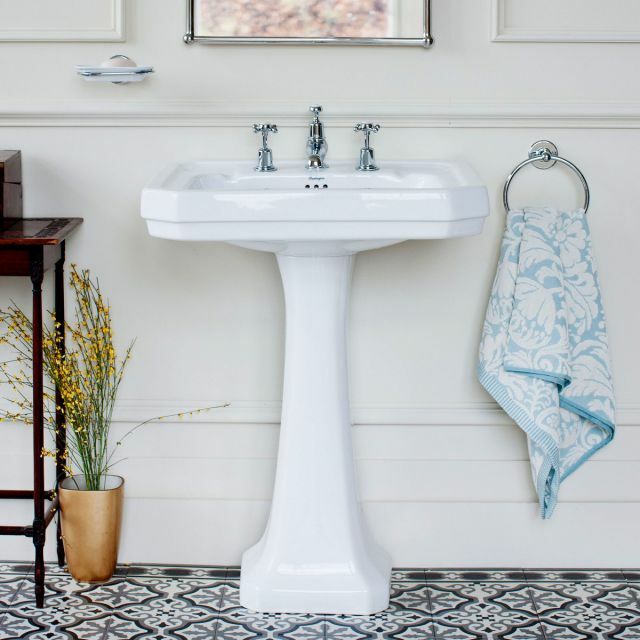 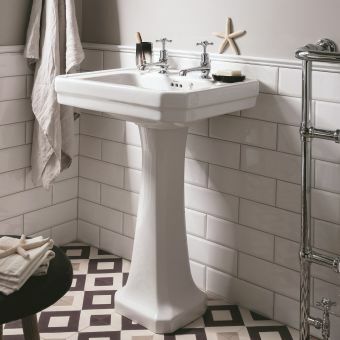 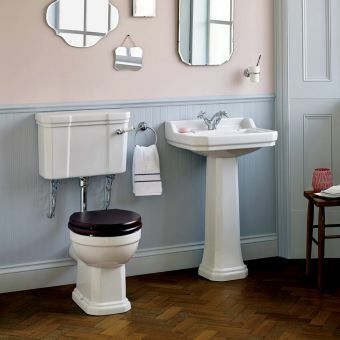 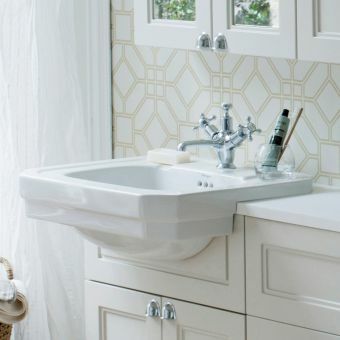 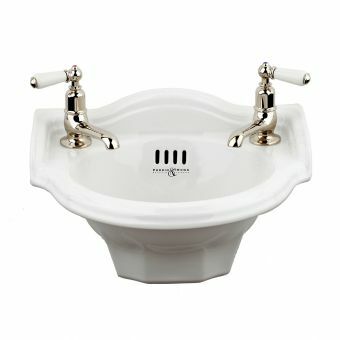 This beautiful Victorian style basin will help you create a classic traditional looking bathroom with ease. 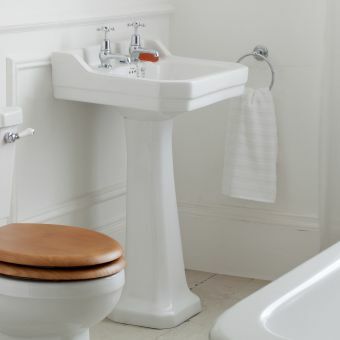 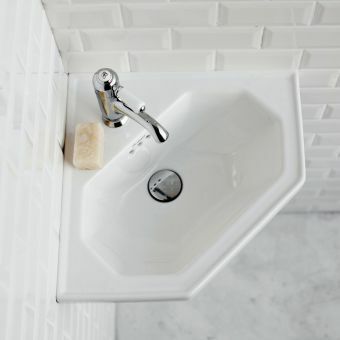 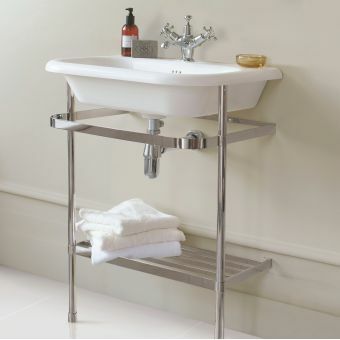 There are various options too, meaning lots of choice for all sorts of different bathroom set ups. 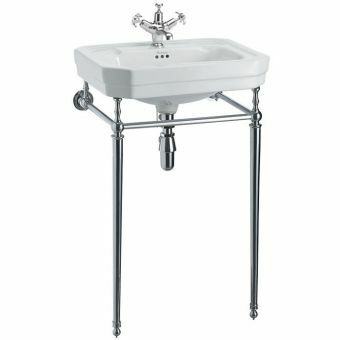 Choose from your pedestal type, from a standard full pedestal to a taller height regal pedestal that is ideal for taller people or where more access is required. 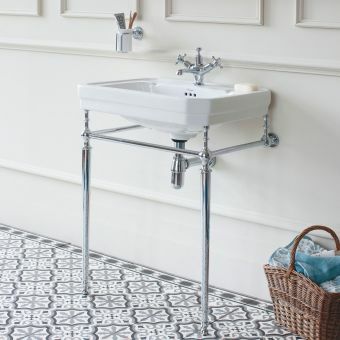 A semi pedestal creates a wall mounted lighter feel, keeping fixings off the floor for a more modern style which is easy to clean around as the floor space remains free. 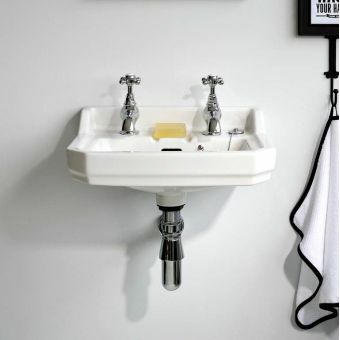 Choose from 1, 2 or 3 tap holes suitable for a variety of matching traditional taps, we recommend selecting a matching Burlington tap. 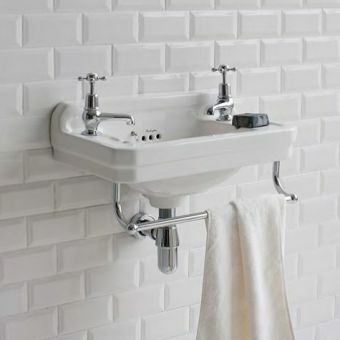 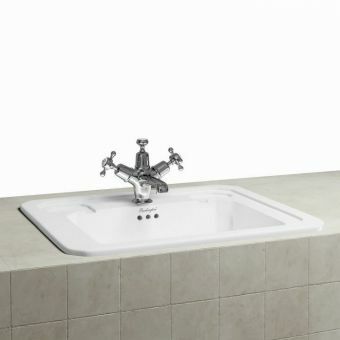 Wall mounted fixings and a waste are required in addition, we recommend Fischer basin fixing bolts and a plug and chain, or click clack waste.